We want to say a huge thanks to everyone who came out to the Covellite Theatre on Wednesday to help us launch and celebrate Richest Hill! You told us about your Butte, what you’re curious and concerned about, and what stories you think deserve more attention. Your suggestions and ideas will help shape the reporting process for Richest Hill, and help us stay rooted to what matters to Butte. And if you couldn’t make it (unfortunately, you missed an excellent sweet & salty snack tray) – or have more to share – we want to hear from you! Let’s continue the conversation! Reach out to our reporter on the ground in Butte, Nora Saks. (nrv.saks@gmail.com/978-996-5766). You can also follow us on twitter, instagram, and facebook. 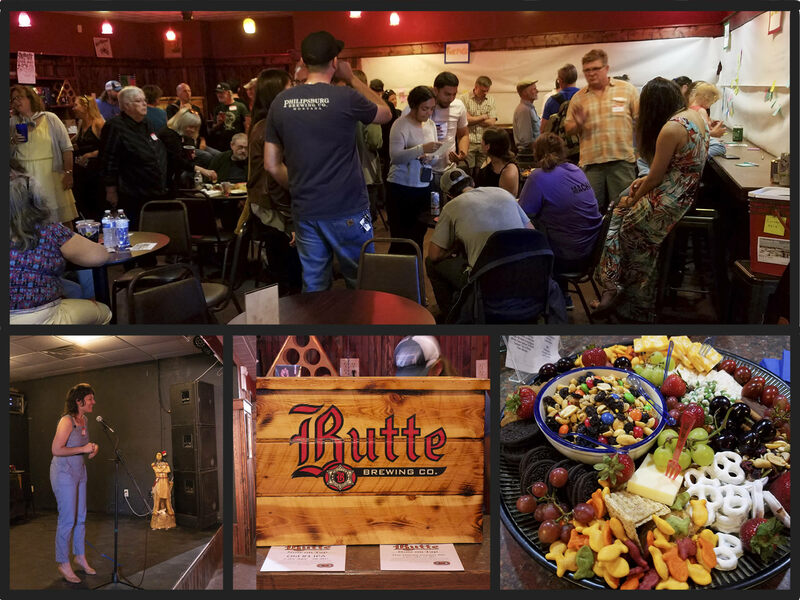 And keep checking in to our homebase website – www.buttepodcast.org – to stay in the loop.